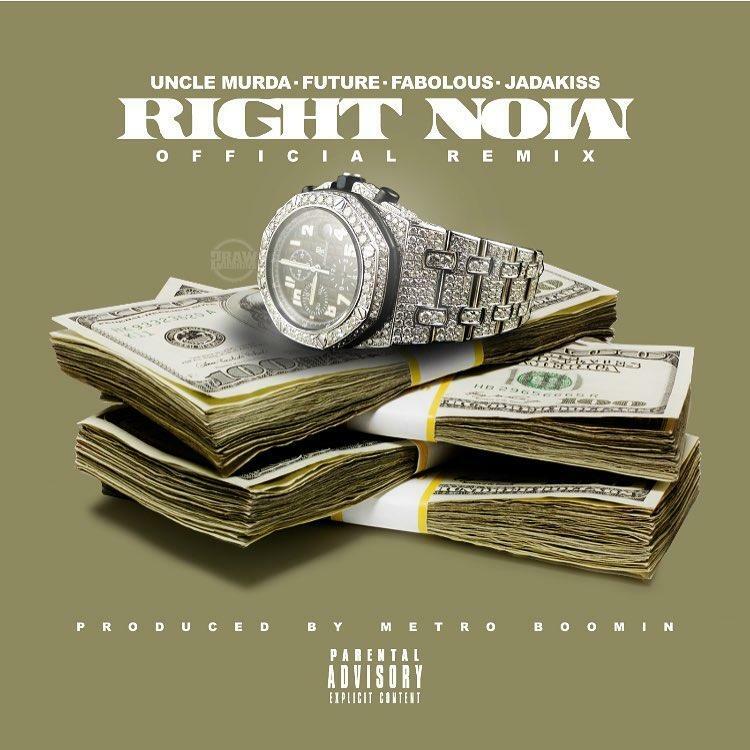 Uncle Murda releases the remix to his Future-assisted banger "Right Now" featuring Fabolous & Jadakiss. Last year, Uncle Murda teamed up with Future for a Metro Boomin-produced banger called “Right Now,” and today he’s back with the official remix adding Brooklyn spitters Fabolous & Jadakiss to it. Leading things off, Fab spits his usual witty metaphors & slick punchlines, while referencing PartyNextDoor (and the Kehlani situation) which he previewed on IG a few weeks back in the process. “Camera man tryna TMZ me, side piece tryna PND me,” Fab spits. Leaving Future on the hook, Murda & Jadakiss later lay down their respective verses over the trap-infused production as well, giving fans all the more reason to get excited for Fab & ‘Kiss' upcoming Freddy Vs. Jason project. Take a listen and let us know what you think. Uncle Murda’s Yellow Tape with Mainoout now.